Campaigning liberal politician (he's running for re-election in the riding of Westmount—Ville-Marie), Canadian astronaut, the ninth Chancellor of Carleton University and ex-Canadian Space Agency (CSA) president Marc Garneau will be leading the Wednesday, April 27th, 2011 Canadian Advanced Technology Association (CATA) Teleforum conference call focused on innovation, entrepreneurship and public policy. Canadian space advocates should participate in this conference call. 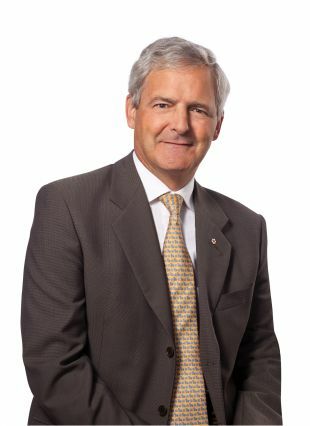 After all, this is likely the last chance to quiz Garneau on Liberal Party campaign positions relating to space focused activities and whether or not they would ever release the (so far) publicly buried long-term space plan (LTSP) before the upcoming election on Monday, May 2nd, 2011. As longtime readers of this blog know, the last formal document outlining Canadian space policy was written in 2003. Titled "The Canadian Space Strategy", it was intended to replace the Canadian Second Long-Term Space Plan (LTSP II) of 1994 (which had last been updated as part of the Performance Report for the Period ending March 31st, 1998). But the initiatives contained within the 2003 report (which maintained the existing focus on Earth observation, space science, exploration and satellite communication plus placed a renewed emphasis on public relations) were quickly overwhelmed by a series of events including three short-term and interim CSA presidents between 2005 and 2008. Of course, there were also sovereignty, national security and economic infrastructure issues swirling around the aborted sale of portions of space contractor MacDonald Dettwiler and Associates (MDA) to American-owned Alliant Techsystems (ATK) in April 2008, which further encouraged the push towards a new LTSP. Industry leaders had anticipated that when Steve MacLean became head of the CSA in September 2008 an updated LTSP would be available within a few months. After a decent interval, during which a variety of space industry experts came out in favor of the LTSP, it simply dropped from site into that big bureaucratic filing cabinet in the sky, never be seen again. 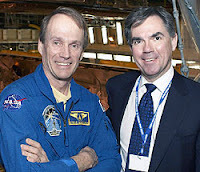 Those coming out in favor of a revised space policy document included the president of the Aerospace Industries Association of Canada (as per my April 25the, 2010 post "Presidents Choice! "), the president of Com Dev International (as per my June 12th, 2010 post "COMDEV Stock Down: Long Term Space Plan Blamed!") and the President of MDA (as per my March 3rd, 2011 post "Downsizing Announced at MDA Robotics"). At one point the CSA even tried to associate the LTSP with an internal structural reorganization (as per my April 7th, 2010 post "Canadian Long-Term Space Plan Pops Up and Looks Around") but that just made them look silly. CSA HQ. 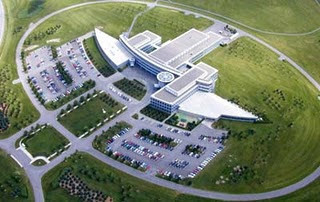 The John H. Chapman Space Centre in Saint-Hubert, Quebec. The conservative party eventually promised a second review, covering the entire aerospace industry as outlined in my March 28th, 2011 post "The Difference Between "Aviation" and "Space""), but this seems to have only pushed the development of a useful policy off further into the future. We shouldn't need to wait so long. This issue should be revisited and we should also take a close look at what the liberal party will commit to in the midst of an election campaign. Callers for the CATA teleforum will have an opportunity to answer questions and provide guidance on issues of innovation, entrepreneurship and public policy and not just telecommunication issues, which is the generally recognized CATA core constituency or space advocacy, which is what I suggesting we need to ask about. 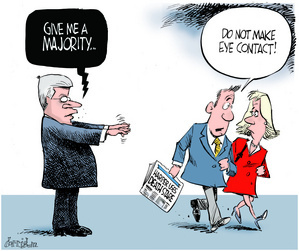 After all, Garneau is supposed to be a space advocate. Let's see what he has to say. Marc Boucher, my colleague over at Spaceref.ca has posted the panel discussion which finished off the recently concluded Canadian Space Commerce Association (CSCA) 2011 conference and annual general meeting. Focused on "the Next Breakthrough Space Technologies for Canada," the conference took place on March 19th, 2011 at the MaRS Discovery District in Toronto, Ontario. Panel Discussion: The Next Breakthrough Space Technologies for Canada on Vimeo. I acted as host (that's me standing on the far left leaning over the podium) and the other participants, from left to right included Joshua Brost, the Manager of Business Development for Space Exploration Technologies (SpaceX); Ron Holdway, the VP of Government Relations for Com Dev International (and also the current president of the Canadian Aeronautics and Space Institute); Frank Teti, the Manager of Autonomous Robotics for MacDonald, Dettwiler (MDA); Olivier Daigle, the Chief Technology Officer for Nüvü Camēras; Steve Bochinger, the President of Euroconsult North America; Chummer Farina, VP of the Canadian Space Agency (CSA) and Marie-Eve Ducharme, the President and CEO of Nüvü Camēras (who, unfortunately spent most of the discussion on the far right just out of camera range). In the introductions, I compared the present panel with the 2006 International Astronautical Congress (AIC) round table on "Major Space Markets in the Next 20 years and the Corporate Approach for Success." This earlier panel, moderated by Virendra Jha (then VP Science, Technology and Programs for the CSA) also included Mag Iskander (then Executive VP and General Manager Space Missions for MDA) and quite a few other major figures in aerospace. But with all those experts on the earlier panel, it was very amusing to note how each acted amazed at the things that have happened over the last twenty years, then marveled at how most of it was completely unexpected but then stated unequivocally that the market has likely stabilized and will now remain essentially the same for the foreseeable future (with one or two predictable exceptions which are logical progressions of already existing trends). In essence, nobody really saw the near future or felt comfortable talking about all the amazing changes that were just about ready to occur in the space systems industry at the domestic and the international level over the next six years. For the current panel, I wanted to insure that they weren't going to end up following along the same path as the earlier panel and would instead focus on the core discussions around space focused technologies where Canada can lead now and continue to do so in the future. So I started by telling the panelists that they had to do a better job than the earlier panel. I hope they took my admonition in the spirit with which it was intended. I do think they succeeded in outlining for discussion the important issues surrounding the next breakthrough space technologies for Canada including our growing expertise in micro-satellites, new initiatives in space science, new sensors and exploration tools, Department of National Defense (DND) drivers related to northern sovereignty and other drivers that are starting to attract government funding including Earth imaging, new private initiatives such as on-orbit satellite servicing and the increasing capabilities possible now that launch costs are finally beginning to shrink. But I've also included the earlier 2006 discussion so that people can compare the two, just in case I'm wrong. The title of the April 15th, 2011 Aviation Week article "China Great Wall Confounded By SpaceX Prices" seems self explanatory but the article makes the point explicit by stating that "executives at China Great Wall Industry Corp. are finding it hard to believe that California-based Space Exploration Technologies Inc. (SpaceX) is offering lower launch prices than they can." The article then goes on to state that "Chinese officials say they find the published prices on the SpaceX website very low for the services offered, and concede they could not match them with the Long March series of launch vehicles even if it were possible for them to launch satellites with U.S. components in them." According to the SpaceX website, a Falcon 9 rocket launch, with an advertised lift capacity of 10,450 kg. (23,000 lb.) from Cape Canaveral, costs between $54 million - $59.5 million dollars. What is the secret of Space-X? 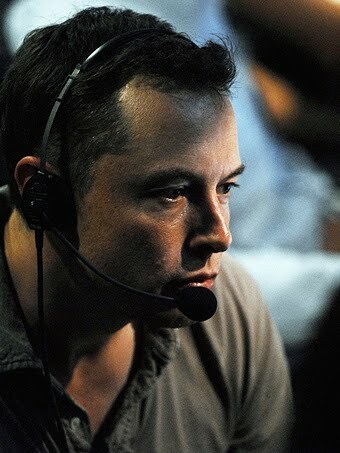 According to the June 18th, 2010 article "Elon Musk on Why His Rockets Are Faster, Cheaper and Lighter Than What You’ve Seen Before" from the Private Equity website (peHUB), there are a number of good reasons for the Space-X success including vertical integration, less outsourcing and some good old fashioned and very basic common sense. Some of what we’ve done is really just common sense — for example, using the same propellant in the upper and lower stages means that operationally, you only need to have one set of fuel tanks. If you can imagine a situation where you have a kerosene first stage, hydrogen upper stage, and solid rocket side boosters, you’ve just tripled your cost right there. Also, the upper stage of Falcon 9 is simply a short version of the first stage. That may seem pretty obvious, but nobody else does that. 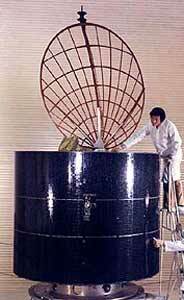 They tend to create upper stage in a totally different way than they create the first stage. The Merlin engine — we used it on the upper stage of Falcon 9, on the main stage of Falcon 9 and on the first stage of Falcon 1. So we get economies of scale in use of the Merlin engine. Our tanks are friction steel welded, [aluminum] skin and stringer designed as opposed to machined aluminum, [giving us] a 20 fold advantage in the cost of materials, and our stage ends up being lighter …because geometrically, we can have deeper stringers. The decision to burn kerosene (RP-1) and liquid oxygen (LOX) for fuel instead of liquid hydrogen and LOX. Hydrogen, the lightest element, is difficult to cool and store as a liquid and not terribly dense even then so the fuel tank has to be quite large and complex. Kerosene is denser and much easier to store since it can be stored at room temperature. 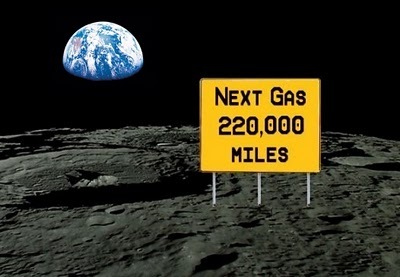 While NASA generally prefers hydrogen for it's greater specific impulse, most of the storage and cooling problems go away with kerosene, which provides substantial cost savings. LOX and kerosene are used in the lower stages of most Russian and Chinese boosters plus the first stages of the Saturn V and the Atlas V. LOX and liquid hydrogen are used in the upper stages of the Atlas V and Saturn V, the newer Delta IV rocket, the H-IIA rocket, and most stages of the European Ariane rockets. Shuttle with side mounted solid rockets. 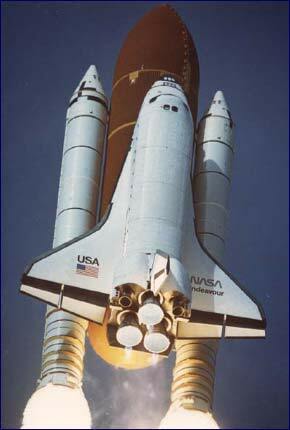 The decision not to use solid fuel rockets strapped to the side of the liquid fuel launchers, as is the case with the space shuttle is the second key to lowering costs. Solid rockets are useful when there is a need for long-term storage (and solid fuel rockets make great intercontinental ballistic missiles) but are less useful when you simply need something light and powerful, which is the prime criteria for satellite launchers. A second, solid fueled system added to an existing liquid fueled system also adds an additional level of complexity, which also adds to costs. •Rockets assembled and integrated horizontally, not vertically, which Space-X considers less expensive and less hazardous. Cross-training of technicians in multiple areas to insure that there are no narrow skilled specialists waiting around for specific work. An intentional decision to build more than 70% of vehicle components in-house at one location, which assists with the development of a direct feedback loop between on-site engineers and technicians as they work together on projects. Strong in-house and on-site capabilities in multiple areas including precision machining & inspection, tank fabrication, variable polarity plasma arc and friction stir welding, composites, precision assembly, tooling design/ fabrication, avionics laboratory & environmental testing, propulsion assembly and numerical control tube bending. According to Arny Sokoloff, CEO of Continuum Aerospace and President of the Canadian Space Commerce Association, there are a lot of local political concessions built into most rocket programs and the real key to cost control is minimizing the various locations where the work is being done by doing as much as possible in-house and at one location. 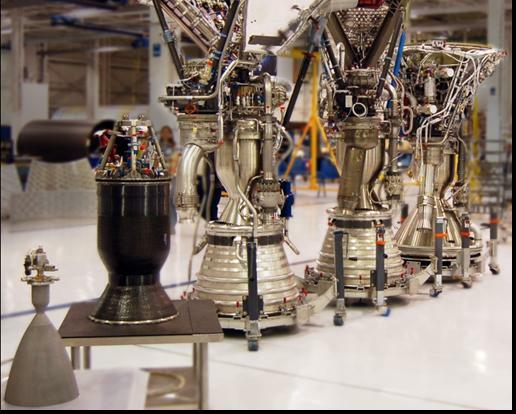 "This is the real secret of how they avoid the massive duplication of roles and the consequent cost overruns typical in aerospace development" states Sokoloff. Part 3: How to Grow the CSA Budget. Steve MacLean with Jim Prentice in March 2008. This series of posts were written in response to comments Canadian Space Agency (CSA) president Steve MacLean made on May 12th, 2010, while presenting to the House of Commons Standing Committee on Industry, Science and Technology (INDU) where he said that an extra two billion dollars, spread out over five years was needed to to "put us at the table" of international space activities and "drive innovation." Part of the context for his comments at that meeting might have been frustration over the loss of his initial mandate from then Industry Minister Jim Prentice to create a new long-term space plan (LTSP) to guide industry and facilitate job growth as outlined in my February 15th, 2010 post "Ottawa Citizen: Where did that Long Term Space Plan Go?" 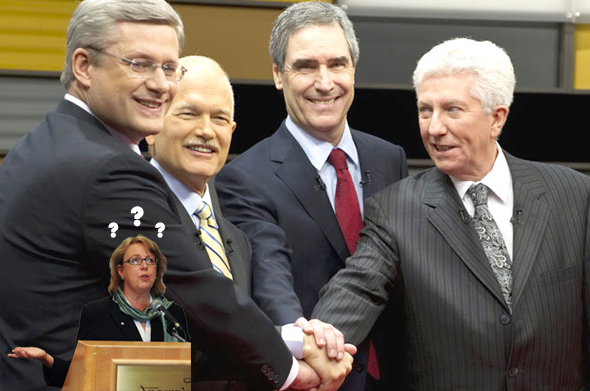 Campaigning party leaders Stephen Harper, Jack Layton, Michael Ignatieff and Gilles Duceppe with Elizabeth May (insert) in April 2011. Shouldn't someone ask about the long term space plan? Without a LTSP outlining future priorities, the CSA budget has stagnated and no new ministerial initiatives have been presented to modify existing priorities, close down completed projects or embark on new plans (except perhaps for the recently announced "aerospace review," included within the latest federal budget but also needing to be reintroduced after the election and promising only to take an additional 12-18 months to look at the situation some more). 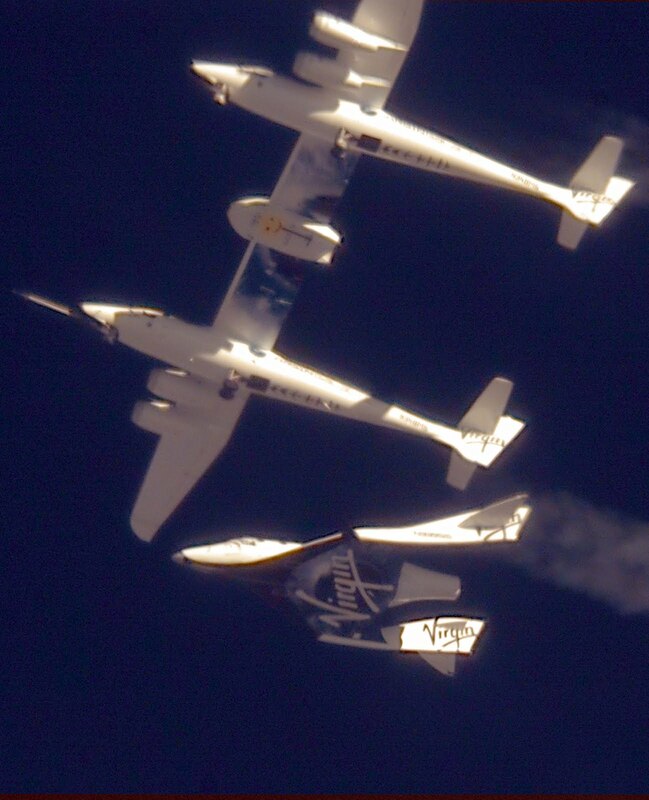 Should CSA astronauts apply at Virgin Galactic? Essentially, the entire CSA is locked into a holding pattern waiting for something (perhaps anything) to happen. In part 1 of this post, titled "Do We Really Punch Above our Weight?," I compared CSA activities to those of five national space programs with equivalent budgets and concluded that they each possess a combination of rockets, astronauts, robotics and strong science programs generally comparable and of equivalent size to Canadian programs (which is a nice way of saying "No. We don't"). In part 2 of this post, titled "What Our Federal Government Thinks," I focused on how the federal government considers the CSA as a small component of the larger grouping of research and development agencies focused on "commercialization" to which it already allocates several billion dollars each year. This makes it difficult for the CSA to focus on it's traditional areas of expertise such as "exploration" and "development" or differentiate itself from other government departments. So there seems little possibility of the CSA ever receiving an increase in funding unless it can both differentiate it’s programs from other Canadian R&D funding programs focused on "commercialization" and focus instead on traditional CSA areas of expertise. Telesat, (created in 1969 as a Canadian government owned or "crown" corporation under the Pierre Trudeau liberal government) was originally mandated simply to develop communications services in the far north. It used technology developed through another government department, the Communications Research Centre (CRC), which was then responsible for coordinating research and development activities in communications. 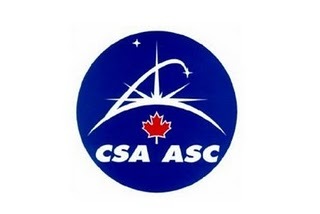 CRC activities then were much like CSA activities now and included most of Canada's early satellite launches. This technology transfusion from CRC certainly helped Telesat to become an iconic representation of how Canadians use space focused "development" solutions to solve terrestrial problems, tie together the country and then continue forward to make a bit of money on the side. 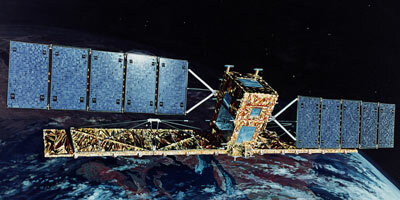 Radarsat 1, Canada's first commercial Earth observation satellite, which was initially developed as an "exploration" tool to inventory and exploit arctic oil reserves using a synthetic aperture radar (SAR) sensor but is now perceived to be a vital component of Canadian arctic sovereignty and "development" activities and led directly to follow-on projects Radarsat 2 and Radarsat Constellation. Oddly enough, both these projects were well funded by the respective federal governments of the day and ended up actually making Canadians a great deal of money even though they weren't initially focused around any specific "commercialization" requirement. 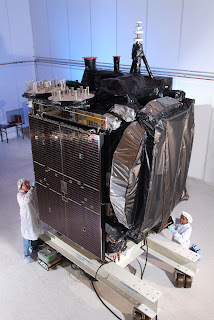 Telsat grew into the fourth largest telecommunications company in the world and Radarsat allowed satellite operator MacDonald Dettwiler (MDA) to serve as the midwife to an entire industry wrapped around Earth imaging and geomatics. 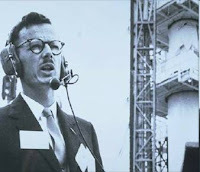 And here's where it gets interesting because much of the impetus for both these programs came from John Chapman (1921-1979) who was senior author of a 1967 report entitled "Upper Atmosphere and Space Programs in Canada." This document (which later became known as the Chapman Report) recommended using Canadian satellites to solve communications and resource management problems caused by Canada's large size. It was so successful that it became our original space exploration blueprint, forming the basis for all subsequent Canadian LTSP's. The core of the Chapman Report was it's definition of telecommunications and Earth imaging as being Canadian "development" problems that could be solved using space "exploration" tools and techniques. This is much different approach from the overall federal government focus on the concept of "commercialization" as outlined in Industry Canada documents like the Mobilizing Science and Technology to Canada's Advantage (May 2007) and the Mobilizing Science and Technology to Canada's Advantage Progress Report (June 2009), which largely governs our current CSA activities. Commercialization focuses on developing items and products which can be sold to other people to solve their problems, which is all well and good but doesn't really fire up Canadian politicians in quite the same way as finding a Canadian solution to a Canadian problem with Canadian tools and then being able to take direct political credit for it. Few argue with the success of the methodology outlined in the Chapman report. As implemented by both Telesat and MDA, it provides a blueprint for shaking loose up-front federal government funds for research and development initiatives and then using the funds to build successful, world class private companies that actually do innovative things and solve problems, rather than just selling parts and pieces to others. Another problem looking for a Canadian solution? For the CSA to grow it's budget, it must define a unique Canadian problem needing a solution just like the Chapman report did. This problem could be related to national sovereignty (which is what MDA is focusing on with their follow-on Radarsat Constellation project), satellite-based ship monitoring for global coastal authorities (which is what Com Dev International subsidiary exactEarth Ltd. is presently working on) or maybe even dealing with internet backhaul issues (which is what Microsat Systems Canada is attempting to raise money for). But it likely won't be Moon rovers or any of the other disjointed science projects wrapped around centers of excellence and capacity building programs that the CSA seems so terribly keen on funding lately because those rovers and projects don't come explicitly attached to Canadian problems requiring Canadian solutions. They're just little parts and pieces that the CSA sometimes sells to others. Once the CSA and the Canadian space systems industry figure this out, the federal government money will start to flow, whether or not our current LTSP ever gets released. Tuesday is the 50th anniversary of cosmonaut Yuri Gagarin's journey into space aboard the Vostok 3KA-3 (Vostok 1) spacecraft, launched from atop a Soviet Vostok-K rocket at the Baikonur Cosmodrome Site No.1 on April 12, 1961 for a short, single orbit of the Earth. According to this media advisory, the Canadian Space Agency (CSA) will celebrate by patching a signal to the International Space Station (ISS), where the orbiting expedition 27 crew will take questions from journalists. CSA astronaut Robert Thirsk, who spent six months in space in 2009, will also be available for comment. As for Gagarin, after his flight he became a worldwide celebrity, touring widely to promote the Soviet Union (USSR) and serving as an emblem of the early Soviet lead in our first great space race, a mid-to-late twentieth century competition between the USSR and the United States (US) for supremacy in outer space exploration. The US won that race but then withdrew from the finish line, which was defined in 1961 by US President John F. Kennedy as "landing a man on the Moon and returning him safely to Earth" before the end of the decade. The USSR eventually collapsed, leaving the world stage entirely and being replaced by the successor states of the Russian Federation. But 50 years on, it's surprising how little has actually changed. The Russians access space using a series of capsules and rockets designed for the Soviet space program by the Korolyov Design Bureau in the 1960s but still in service today. The US won't have access to space after the US space shuttle retires later this year, but there are a number of options on the drawing board just waiting to roll out, which is much the same as the situation at the dawn of the last space age. 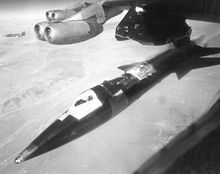 X-15 being released from underneath a B-52. The best and most promising spacecraft undergoing testing either now or 50 years in the past was (and still is) suborbital, winged and carried aloft underneath a larger, conventional powered aircraft. In concept and execution, there is very little to differentiate the 1950's design of the North American X-15 rocket-powered aircraft/ space plane and the early 21st century design of the Scaled Composites Space Ship 2 (SS2). The materials used might be different, the avionics more advanced and the SS2's "feathered" wing, which helps to slow down the craft during re-entry, may work more elegantly than the high temperature materials used to protect the X-15, but any X-15 worker from the 1950's transported into the present would surely recognize SS2 as being cut from the same cloth and built for the same purpose. SS2 being released from the White Knight 2. But in the 1950's the X-15 was a unique plane, built in secret for the US military using technologies not expected to ever become widely available for public use. Blue Origin, a privately-funded company recently awarded $3.7 million in funding in 2009 by NASA under the Commercial Crew Development (CCDev) program to development concepts and technologies to support future human spaceflight operations. The company has also built and flown a testbed of its New Shepard suborbital spacecraft design at their Culberson County, Texas facility. RocketShip Tours which acts as general sales agent for suborbital vehicle developer XCOR Aerospace. Space Adventures which presently organizes orbital trips to the ISS and plans to offer suborbital and lunar spaceflights to scientists and the general public with US based suborbital vehicle developer Armadillo Aerospace. UK based Starchaser Industries, which recently tested it's hybrid rocket engine according to this September 15th, 2010 post on the Parabolic Arc website. 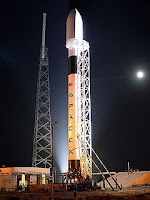 These latest and greatest offerings are meant to be noticed by paying customers looking to kick-start our next great space race which is going to be fought, this time, for publicity and commercial gain. Of course, these new craft will also add to our scientific knowledge. According to the October 12th, 2009 Universe Today article "Suborbital Could Be ‘Next Big Thing’ for Space Science:"
Sub-orbital science appears to be a win-win situation for both scientists and the nascent commercial spaceflight companies. For researchers, the flights represent cheaper and more frequent access to space than anything NASA can provide with the space shuttle, parabolic flights or sounding rockets. Sub-orbital manned launchers can also provide useful, hypersonic point-to-point transportation services and serve as the basis for manned orbital launchers as outlined in the February 29th, 2008 Hyperbola article titled "SpaceShipThree Revealed." 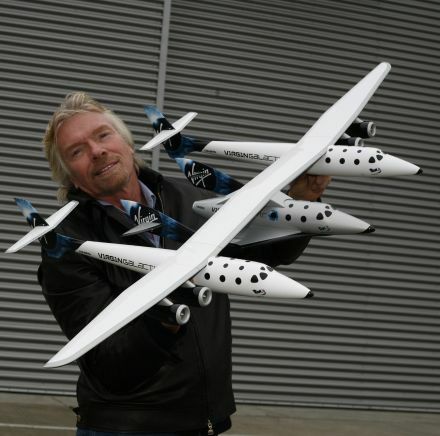 Virgin Galactic founder Richard Branson. They can also be readily modified to become unmanned, orbital, micro-satellite launchers as outlined in the November 10th, 2009 BBC News Space Man blog entry titled "LauncherOne: Virgin Galactic's other project." Just as the first great space race was about to explode 50 years ago when Yuri Gagarin climbed into his tiny capsule, the second is just about ready to start now. Someone should tell the CSA and the Department of National Defence (DND) that the cost of a micro-satellite launcher is going to drop an order of magnitude, travel time between continents is going to shrink substancially and achieving orbit will soon become much, much easier just as soon as these new space planes, with pedigrees going back 50 years, finally begin commercial service. Almost two years ago, in one of my earliest blog posts (the July 3rd, 2009 post titled "Historical Accounts and Comparisons of our Present Space Age with Other Era's") I mentioned author George Santayana, and quoted from his book, the Life of Reason, that "those who cannot remember the past are condemned to repeat it." Some of the people at the Canadian Aeronautics and Space Institute (CASI) must also have read Santayana, since they've always taken steps to appropriately honor past Canadian achievements through their CASI Senior Awards. The 2011 Senior Awards are scheduled for presentation at the gala dinner of the CASI AERO 2011 Conference, being held at the Delta Centre‐ville Hotel in Montreal, on April 27th. 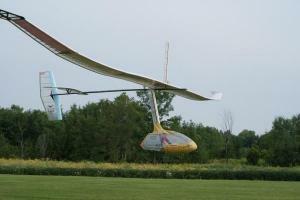 The Trans‐Canada (or McKee) Trophy, the oldest aviation award in Canada and normally awarded to a Canadian citizen who has made an outstanding, contemporary achievement in aerospace operations, will be awarded to Mr. Cameron Robertson and Mr. Todd Reichert for designing, building, and flying the Snowbird, a human‐powered ornithopter that completed sustained flights on July 3l and August 2, 2010. According to the September 22nd 2010 Science Daily article "Human-Powered Ornithopter Becomes First Ever of Its Kind to Achieve Sustained Flight" this specific ornithopter was the first to ever actually function as designed, which is something that even the great inventor Leonardo Da Vinci, who first designed his version way back in 1485, couldn't quite claim. The McCurdy Award, presented for outstanding achievement in the science and creative aspects of engineering related to aeronautics and space research, will be awarded to Professor W.G. (Fred) Habashi for his contributions to computational flow dynamics (CFD) applications in gas turbine engines and to computations of in-flight phenomena. Habashi is well known for his research in this area, having previously been awarded with a life time achievement award from the CFD Society of Canada in July 2006. The C.D. Howe Award, presented for achievements in the fields of aviation and space planning and policy making, and named after the powerful Canadian Cabinet minister in the William Lyon Mackenzie King and Louis St. Laurent administrations, will be awarded to Mr. William Brenton Boggs IV who passed away on January 11th, 2011 after a life of long service. This included a short stint in the Royal Canadian Air Force during World War II, plus civilian duty at Trans-Canada Airlines, Canadair, Hawker Siddeley Canada, de Havilland Canada (DHC), Boeing Canada and Field Aviation Holdings Inc. His policy expertise is illustrated by his chairmanships of the Aerospace Industries Association of Canada (AIAC) and the Canadian Manufacturers' Association. Boggs was previously made an Officer of the Order of the British Empire in 1944, invested as an Officer into the Order of Canada in 1988 and inducted into Canada’s Aviation Hall of Fame in 2003. The Alouette Award , presented for outstanding contributions to advancement in Canadian space technology, applications, science or engineering, will be awarded to Dr. Allan B. Hollinger, for a series of outstanding contributions to Canadian space technology, applications and engineering during a career that spans more than 30 years as an expert and lead in developing Canada’s optical spacecraft payloads. Hollinger is associated with the Institute for Space and Terrestrial Science (now the Centre of Excellence for Earth and Environmental Technologies) as the Manager of the Electro‐Optics laboratory and has been with the Canadian Space Agency (CSA) since 1995. He shared the Canadian Government Inventor Award in 2004, is co‐holder of seven patents and has contributed to 120 publications and technical reports. The Roméo Vachon Award, presented for outstanding display of initiative, ingenuity and practical skills in the solution of a particular challenging problem or series of challenging problems in aeronautics and space activities in Canada, will be awarded to Major Dwight Bazinet for his work with the Augmented Surface Plot (ASP) tactical computer project, which fuses global positioning system data with traditional maps and radar information. As mentioned in my March 28th, 2011 post "The Difference Between Aviation and Space" the space systems sector has a different set of planning and policy requirements than the aviation industry, but that doesn't mean we can't come together to celebrate excellence, no matter where we might find it. Here's a couple of quick updates on interesting commercial space focused stories from Canada and around the world. An academic research report on Space Tourism in India, conducted by students and faculty members of the University of Petroleum and Energy Studies (UPES) in Dehradun, India in association with the Institute of Air & Space Law at McGill University in Montreal and released on March 31st, 2011, states that "Space Tourism is one area where India can play a vital role with its affordable yet reliable solution. With the growth in the economy and the rapidly increasing middle and upper class, it is expected that a new industry on space tourism will evolve." The abstract for the report is available for download online by clicking on this link. 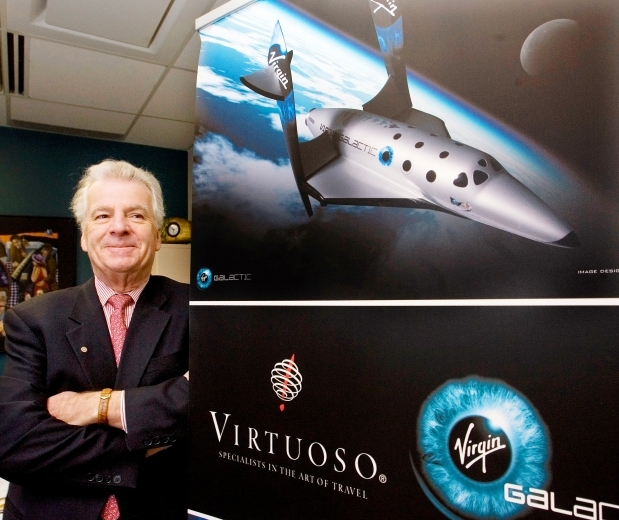 While Canadian specific academic research in the area of space tourism is limited, it's worth noting that several Calgarians have so far plunked down $20,000 deposits on $200,000 tickets for short rides on the British based Virgin Galactic suborbital Spaceship Two, according to Michael Broadhurst, Vision 2000 Travel manager and prairie accredited sales agent (ASA) for Virgin Galactic who is quoted in the March 31st, 2011 Calgary Herald article "Calgarians sign up for space flights." According to his partner, Stephanie Anevich, the Toronto based executive vice-president of Vision 2000, (who I spoke with over the phone today) the company is very excited to be part of the original Virgin Galactic ASA team in Canada. Vision 2000 now has 6 ASA’s and advisers who focus on space travel. But if you're going into space and expect to get thirsty during your trip, then Australian beer company Thirsty Swagman might just have a second, more palatable alternative. According to the April 4th, 2011 press release "First Beer in Space Tour Set for 2012/2013" the company is offering passengers purchasing Virgin Galactic tickets through its online website (called Beer in Space) the option of chugging down a cold one at 300,000 feet in zero gravity. According to the company founder Kenneth Hart, “beer is the nectar of the gods, and soon you can touch the heavens to drink it." According to the April 4th, 2011 Wired Web Press Canada press release "Carlton University Students to Compete in Canada's First Satellite Design Challenge" a team of engineering students from Carlton University have registered to compete in Canada’s first Canadian Satellite Design Challenge (CSDC). 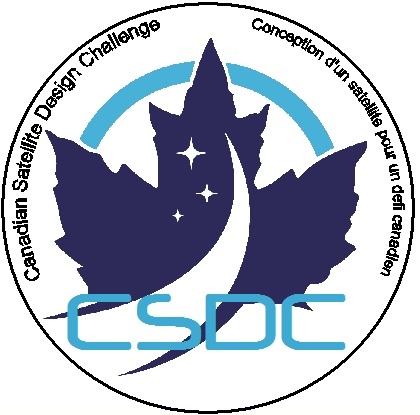 The contest, organized by BC based Geocentrix Technologies, is open to teams of university students who design and build an operational small-satellite, based on commercially-available, "off-the-shelf" components. The satellites will undergo full launch and space environment qualification with the ultimate goal of launching the winning satellite into orbit and conducting science research. The Carlton entry brings the total number of competitors for the challenge to thirteen including Carlton, Concordia University (Montreal, QC), Dalhousie University (Halifax, NS), the University of Alberta (Edmonton, AB) and the University of British Columbia (Vancouver, BC). 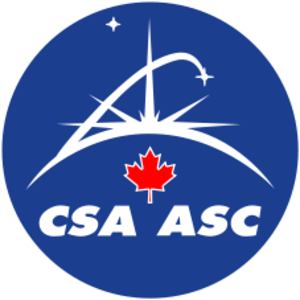 Meanwhile, the Canadian Space Agency (CSA) is attempting to increase its capacity, at least according to the April 1st, 2011 SpaceRef.ca article "Canadian Space Agency Ramps up Capacity Building Efforts." The article comments that the CSA plan is designed to support "the continuing development of a critical mass of researchers and highly qualified people in Canada in strategic areas." These areas include atmospheric measurements using space-borne Fourier transform infrared spectroscopy (FTIR), carbon cycle science with space-borne data assimilation and modeling, soil moisture measurement and applications with space-borne data plus quite a few other highly targeted and very specific areas. Of course, any preselected and highly targeted list of activities strongly suggests a government agency that already pretty much knows where it expects to spend the $2.25 million allocated to the project over the next three years. Speaking of needing extra capacity, Canadian space powerhouse MacDonald Dettwiler (MDA) seems to be having the latest in an ongoing series of great weeks with the April 4th, 2011 Canada News Wire announcement that "MDA to provide advanced technology solution to Boeing for communications satellites." This latest "multimillion dollar agreement," comes on the heels of a contract from the Department of National Defence (DND) to operate and maintain the DND Surveillance of Space (Sapphire) system (as outlined in the March 29th, 2011 SpaceRef.ca article "MDA to Provide Operations and Maintenance for DND Sapphire Satellite System") and an agreement with satellite operator Intelsat to provide on-orbit satellite refueling and services (as outlined in my March 15th, 2011 post "MacDonald Dettwiler gets "Anchor Customer" for Brampton Robotics Plant"). It's starting to look more and more like Canada's space future will be decided and defined by private industry and not by government long term space planning. And finally, it's worth noting the October 2010 Popular Science article "The 123,000 MPH Plasma Engine That Could Finally Take Astronauts To Mars" which highlights the Ad Astra Rocket Company and its founder Franklin Chang Díaz, who is building a rocket engine that’s faster and more powerful than anything anyone has ever flown before (with a little help from Canadian subcontractor Nautel). The article seems to have encouraged others to come forward with competing designs. Here's a sample of some of the ideas being discussed, in this case from the Russian Republic. As outlined in my July 21, 2009 post titled "Even Werner von Braun was Wrong Once in a While...," the driving personality behind our first great space race once laid out a plan to send men to the Moon and Mars, using reusable spacecraft and a space station big enough to sustain and pay for itself with enough extra repair/ refueling capacity to construct a lunar and planetary expedition fleet for further exploration. Unfortunately for the plan, printed circuits superseded the fragile and short-lived vacuum tube used in the 1950's and we were suddenly able to build much more durable and capable satellites for a fraction of the cost of a manned station. MDA Space Infrastructure Servicing (SIS). So we ended up getting the weather, communications and surveillance capabilities (plus several much smaller but nowhere near self sufficient manned space stations like Salyut, Almaz, Skylab and MIR) but not the extra capacity needed to construct the promised interplanetary fleet. This state of affairs might just be in the midst of changing with the March 14th, 2011 announcement by BC based MacDonald Dettwiler (MDA) of a $280 million USD agreement with satellite operator Intelesat for the servicing of Intelsat's on-orbit satellites via a space-based service vehicle to be provided by MDA ("Intelsat Picks MacDonald, Dettwiler and Associates Ltd. for Satellite Servicing"). The importance of this announcement flows from the simple fact that once a system is in place to refuel, service and repair satellites it's not much of a stretch for the system to be upgraded and modified to the point where it's capable of refueling and repairing pretty much anything made by man, pretty much anywhere in space. And from there, it's only another short hop to actually being able to build things like interplanetary spacecraft in orbit, pretty much the very same way that Werner von Braun once envisioned. Even better, the present MDA on-orbit satellite servicing and refueling proposal is a follow-on to the existing MDA CanadArm program. The CanadArm is essentially just a big orbiting space crane designed for the construction of the International Space Station (ISS), although it's also helpful for expediting the ISS docking process, which is what the CanadArm2 does now for the Japan Aerospace eXploration Agency (JAXA) Kounotori 2 and plans to do with the Orbital Sciences Corporation (Orbital) designed Cygnus cargo delivery spacecraft. Of course, there are certainly hurdles and difficulties still to be overcome before the MDA plan can move forward. Some of those concerns were outlined in the March 16th, 2011 Space.com article "Satellite Builders Not Enthusiastic About In-orbit Servicing Project" which mentioned legal issues, questions concerning time to profitability and whether or not the application would be more suitable for higher-value institutional satellites rather than the commercial satellite market as represented by the present prime contractor Intelesat. The agreement between MDA and Intelsat is still to be finalized and there is a six month window before the final decision to move forward will be made. The first refueling mission should be available 3.5 years after this concluding contract is signed. But it's also worth noting that, on average, one satellite in geosynchronous orbit is going to fail each year, according to the September 2010 Milsat Magazine article "Intel... Zombiesat's and On-Orbit Servicing". On April 8th, 2010, Intelesat lost contact with Galaxy 15, one of its approximately 50 geosynchronous satellites and contact was re-established only with difficulty after the satellite had caused considerable hazard to other orbital objects. So there is indeed a market for this sort of service. Satellites often break and need to be fixed. MDA is not alone in making recent proposals in this area although it seems so far unique in snagging an actual contract from a satellite operator. But the advantages to possessing this capability are many. For example, a team working out of Georgia Institute of Technology has released a study (titled "Near Term Space Exploration with Commercial Launch Vehicles Plus Propellant Depot") looking at what happens to program costs if you add propellant depots (similar to those planned as part of the MDA proposal) to the National Aeronautics and Space Administration (NASA) Human Exploration Framework Team (HEFT) baseline proposal study on what it would take to do a twenty-year human exploration program culminating in human flights to near-Earth asteroids. The HEFT study (Human Exploration Framework Team) concluded that if NASA built its own 100-ton payload Heavy Lift booster then used it to launch fully-fueled mission stages Apollo-style, the overall program cost would be $143 billion over twenty years, or an average of just over seven billion a year. For what it's worth, NASA Human Exploration looks likely to be funded at no more than four to five billion a year for the foreseeable future. ...Under a range of assumptions, their cost for this modified HEFT program comes in at between $73 billion and $97 billion over twenty years - an average of between $3.6 billion and $4.9 billion per year. These studies make it crystal clear: NASA can probably afford a human deep-space exploration program based on commercial boosters plus propellant depots. NASA definitely cannot afford a human deep-space exploration program based on the Congressionally-mandated 130-ton SLS heavy lifter. Expect the applications from this technology and servicing capability to begin to grow exponentially over the next few years, as other organizations realize some of the obvious and immediate advantages accruing to organizations like MDA, who possess this capability. Werner von Braun would be pleased.